Who Draws Up the Purchase Agreement for a Home That Is For Sale by Owner? 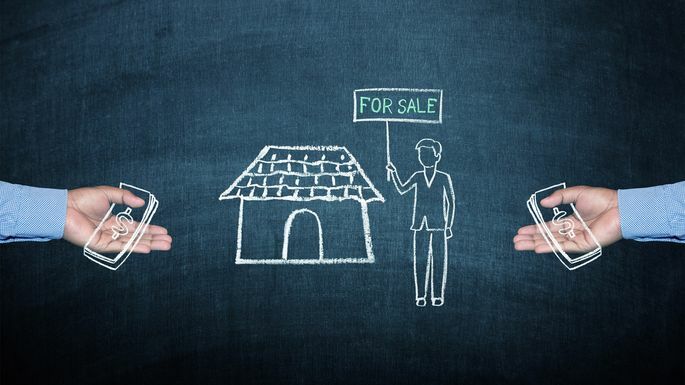 The seller’s agent is typically the person who draws up a purchase agreement, but what happens if the home is for sale by owner (FSBO) and the seller isn’t represented by a real estate agent at all? A FSBO situation can occur in a seller’s market or when homeowners want to maximize their profits by not having to pay a commission to a real estate agent. So if the sellers accept your offer and the sale is set to move forward, who will be tasked with drawing up the purchase agreement, or the document outlining the terms and conditions? Experts say to turn to your own representation. “Typically, if the seller does not have a Realtor®, the buyer’s agent ends up doing most of the work,” explains Ryan Hardy, a broker with Gold Coast Realty in Chicago. Who drafts the purchase agreement? If you’re going to buy a home, a purchase agreement is one of the first steps to securing the deal. “In laymen’s terms, a purchase agreement is simply the written agreement between the buyer and seller outlining the terms of the sale,” Hardy explains. Most purchase agreements will include details such as the sales price, closing date, and any contingencies the sale hinges on—such as the home passing inspection or appraising at a value that your lender agrees is high enough to warrant a mortgage. These can be drawn up by a real estate attorney or agent. If the seller doesn’t have an agent lined up to draft the purchase agreement, your own real estate agent can take care of the transaction paperwork as a transactional agent, also known as a dual agent, says Joanne Bernardini, a Realtor® with Coldwell Banker-Casa Bella Realtors in Linwood, NJ. Keep in mind that certain states do not allow dual agency, and some see it as an ethical dilemma. If you do decide to use a transactional agent, think of them as “one person who neither represents the seller nor the buyer but facilitates the documents necessary for the sale,” says Joyce Mitchell of Mitchell & Associates, in Bigfork, MT. Who pays the fees to draw up a purchase agreement? The cost of drawing up a purchase agreement is typically included in the seller’s commission fee. However, if a seller doesn’t have a real estate agent and your agent is doing the work, that doesn’t mean you’ll need to foot the bill. You just need to be prepared to ask the seller to pay that portion of the commission, says Kaera Mims, a Realtor with Liz Moore and Associates in Newport News, VA.